Universal Music Group CEO & Chairman Sir Lucian Grainge gave a keynote address at a Capitol event in Hollywood today – paying tribute to the label group’s modern management team, while recounting a bit of recent history… with a smile. Grainge became a focal point for those who believed the recorded music industry was in irrevocable trouble when he led the then pricey-looking $1.9bn acquisition of EMI Music in late 2011 – a deal which completed the next year. Universal was eventually forced by European regulators to sell off Parlophone Label Group to Warner, leaving Capitol Music Group and its iconic Tower office as the centrepiece of the EMI buyout. 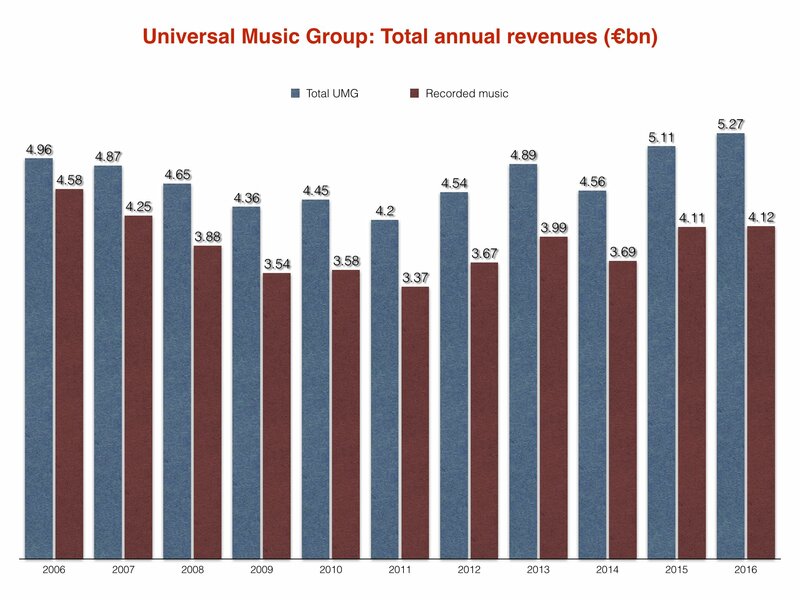 Since that acquisition, Universal Music Group’s annual revenues have grown by approximately $1.5bn, up from €4.2bn ($5.7bn) in 2011 to a record €5.3bn ($7.2bn) last year. Capitol Music Group, with a fresh leadership team led by Steve Barnett (Chairman & CEO), Michelle Jubelirer (COO) and Ashley Newton (President) has played a central role in this growth – with artists such as Migos, Katy Perry, Halsey and Sam Smith, whose debut album In The Lonely Hour has now sold over 12m copies worldwide. 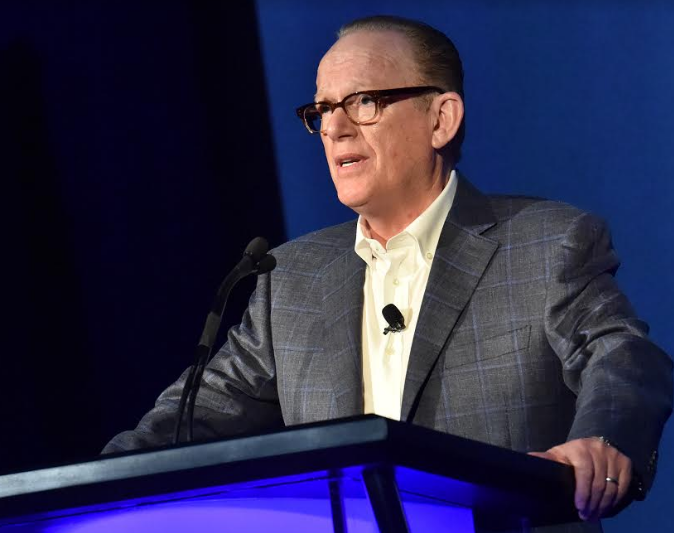 Addressing staff and industry partners at the Capitol Congress event at Hollywood’s ArcLight cinema this morning, Grainge said: “Capitol have made the resurgence and reinvigoration of an incredible company look really easy. It’s not easy. Grainge paid particular tribute to Steve Barnett’s leadership of CMG, noting that the exec had devised a “10 year plan” for Capitol after taking charge – and that “each year the company gets stronger and gets better”. Then Grainge delivered something of a message to the naysayers. “Our industry as we know is improving, and it’s important we never lose sight of our fundamental mission: to invest in long-term artist development,” he said. “When the [record] industry wasn’t doing so well – and let’s face it, so many people from the outside thought that it would be over – we didn’t listen. We never listened. “We always followed what we believed in: how important music is and how important our IP is. We were at the forefront of the development of the new marketplace for the global distribution of music as well as the discovery of new talent. UMG-signed track Despacito recently broke the all-time YouTube plays record with more than 3bn views – having clocked up over 5bn streams across audio and video platforms. Grainge didn’t miss the chance to cite the song as evidence of UMG’s consistent belief in the recovery of the music business. “People say to me with regards UMG and Despacito, ‘Do you follow trends and fads?’,” he said. “We’ve been investing in Latin music for decades. I’ve worked with and managed teams who’ve created a flourishing [Latin music] marketplace for many years. Prior to Grainge taking the stage, Steve Barnett paid special tribute to legendary Capitol artist Glen Campbell who died aged 81 on Tuesday (August 8) – calling the Wichita Lineman singer/songwriter “a true genius”. Barnett then rallied the Capitol troops, noting the evolution of CMG since Universal’s EMI takeover – and even since the last Capitol Congress in 2015. “We’re a very dramatically different company than we were two years ago, and we continue to build on what we started over four years ago,” he said. 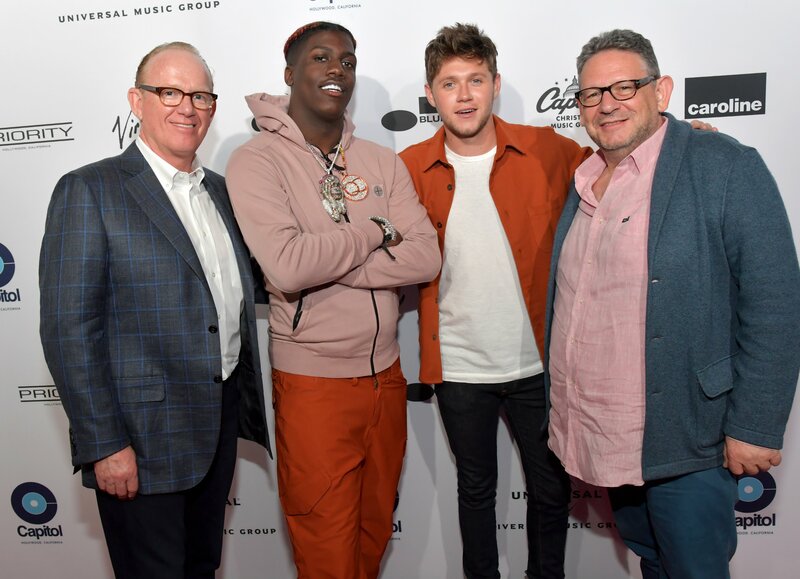 Artists who appeared at Capitol Congress today included Niall Horan and Lil Yachty (pictured inset with Barnett and Grainge), plus Vic Mensa, Beck and Maggie Rogers. Sam Smith also attended an on-stage Q&A alongside his co-writer Jimmy Napes, moderated by Zane Lowe.